A wise woman told me Saturday night that you never forget your first time (with a fleece). I might have made an inappropriate reference to the fleece’s name, but we don’t need to talk about that. What is it? 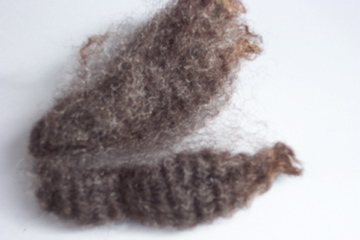 A cormo fleece. I think. I’m pretty sure. (They took the card that told me so when I purchased it. I might have been a wee bit dazed at the time.) 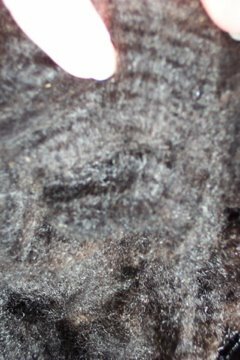 It could be a corriedale, though, because I just remember that it began with a C.
How much is it? It is just a hair under three pounds. 2.7, I think. From what I understand, this doesn’t actually qualify it as a fleece purchase (and therefore it was reasonable for me to nearly forget about it last post). Why on earth did you pick that fleece? Um…I didn’t. Lisa did. Now, Lisa couldn’t care less (and that is stating it mildly) about fleece, and looked so bored in the fleece barn I was reminded of past bad dates. But, this one spoke to her and she called my attention back to it. I fondled it, listened to it, stroked its crimp until I wondered what all that brown stuff was on my fingers, took a deep breath and bought it. Whatcha going to do with it? Good question. 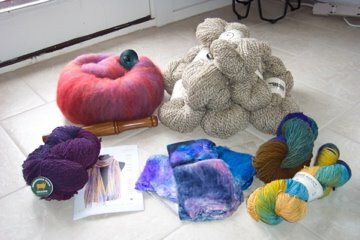 I have received some pretty strong hints that it wants to be plied with some caramel-colored alpaca I have tucked away, and sent on a journey to Florida. But I don’t know if I should listen to such hints. Really, all I’m thinking about right now is getting it to clean. I will worry about the rest much, much later. 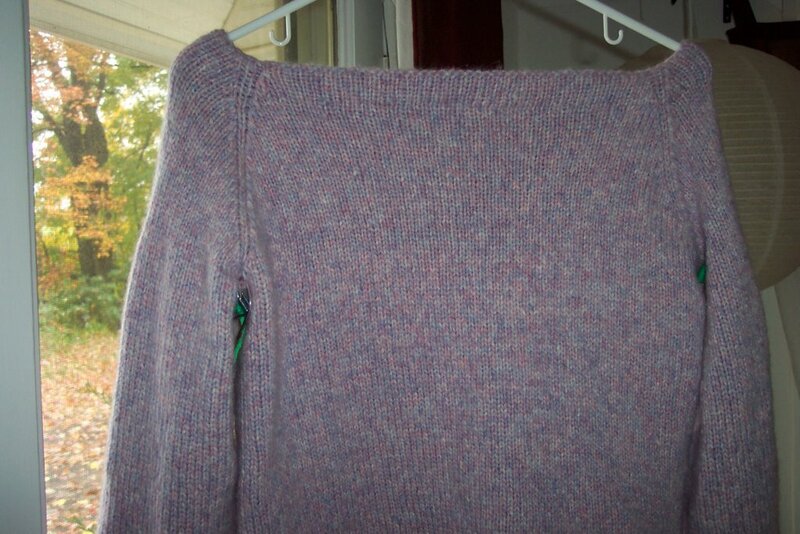 What about pictures of that Olympic/Rhinebeck sweater? You hush, NeedleTart. I still need to wash it/block it. Y’all weren’t supposed to know that. 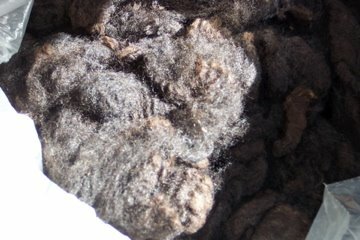 Until then, the fleece lives in the car. * “They” are the people who have gone before, who tell you that you *must* go, but not really why. I learned that it’s not the festival, its not the bloggers, its not the weather or the lamb burgers or the vendors or the h(m)otel that makes Rhinebeck. It really is all of it, all mushed together. 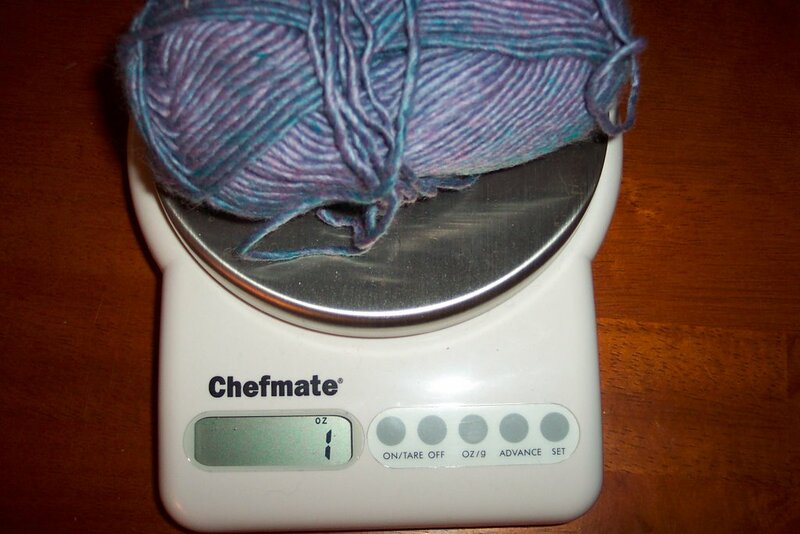 I learned that there are far far more knit bloggers out there than I could have imagined, and that though I saw a huge number (see pictures here and here, for starters) I only saw a wee fraction. I learned that Socks that Rock are worthy of a looooong line. A long long long long line, the length of Building A in fact, and all the really super stuff was already claimed by the people in front of me in line. Which didn’t stop me from standing in a long line to buy sock yarn for someone I promised I would. I learned that there is a finite amount of blithering idiocy that can fall out of my mouth when talking to people whose work I admire. Not that it doesn’t happen, but that I can control it. A little. 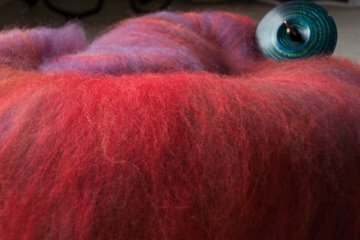 I learned that after you meet a few bloggers–no matter how terrified of crowds you are–you’re happy to talk to someone just as freaky on fiber as you are. 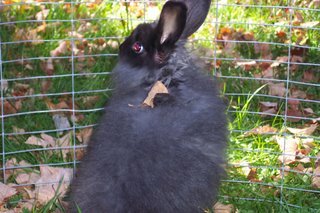 I learned that bunnies are like crack. Everyone stops to look, and those that stop to coo at them *all* talk in baby talk. 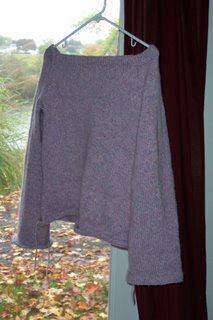 It’s official: I’ll be wearing the Olympic Rhinebeck sweater on Saturday. I have it on right this second (though the bottom hem isn’t done), and while it’s a bit snug (or I’m a bit round), it looks pretty damn ok. I have a list of things to do before Rhinebeck that is freakin’ huge. Overwhelming. And I know I can’t be the only one. 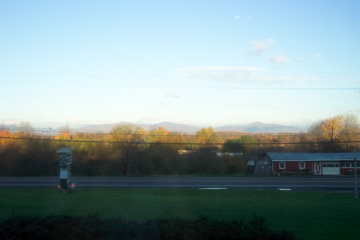 See, Ms. Dragon is flying up here on Thursday for a weekend of Rhinebeck fun. We’re spending Thursday, Friday and Saturday night at some nice place in Red Hook (let’s not dwell on the fact that I can’t for the life of me remember the name of the place. We’ll worry about that tomorrow). Somewhere between the homework, the cleaning and the packing, I have to figure out the nearest Starbucks to Hartford Airport (apparently the girl needs caffeine immediately upon deplaning. I can’t argue with that). Right. 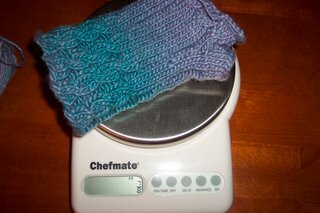 So, I am taking everyone’s advice that 1/8 of an ounce of yarn is *plenty* to finish the mitt 2. I would feel silly about being so worried, but I’m going to wait to see how it turns out, ok? I am sure y’all are 100% right. I’m just a little slightly not noticeably high strung. I admit it. I made it through the last cable on my lunch break today, so it goes, if slowly. Tuesdays are my Knit With Terry nights, assuming I’ve been a good girl and done my homework (due on Tuesdays). What was I working on last night? Hemmed down some stitches, that’s what. Lest it appear that I will *actually* finish my Olympic Rhinebeck sweater, I still have a few more stitches to hem down. This angle is bad, I know, and the sweater isn’t nearly as shapeless as it appears. I was running late for a doctor’s appointment*. Also, for the record, I haven’t ever tried this sweater on. I know this puts me in the running for Stupidest Knitter of the Year, but I’m badly superstitious about this sweater. I don’t know why. I really hope to wear it Saturday. Really, really really. Rhinebeck Rhinebeck Rhinebeck. Anyone else as excited as a kid going to the circus? * I was told today that I have to cut my caffeine intake to zero. I’m really not happy (read: I cried in front of the Dr.). There might be some whining or general crankiness in posts over the coming weeks. I’m really sorry, in advance. 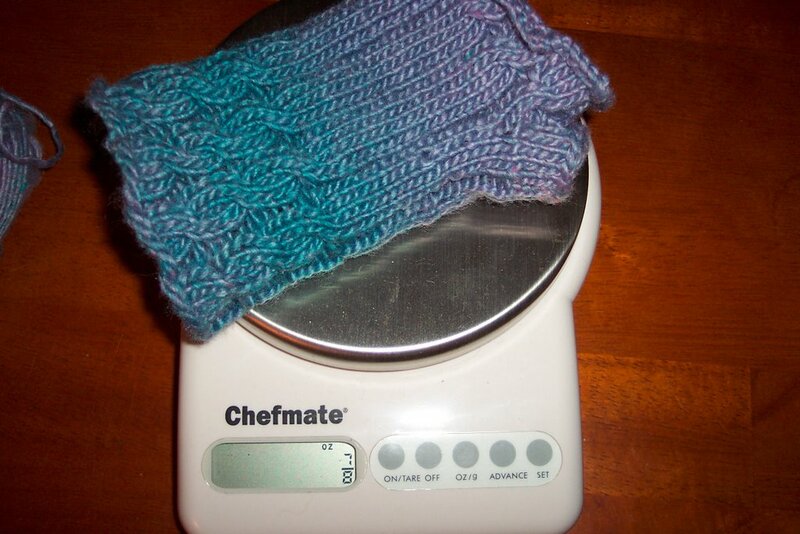 I love to knit, and I do it as frequently as I can. Lunch breaks, trips with Mr. Cygknit (including trips to Target), and far too many hours I should be doing schoolwork. On a scale of obsessed, however, I don’t rank nearly as I high as my co-workers I would like to think I am. Yes, I will chose to knit over cleaning. 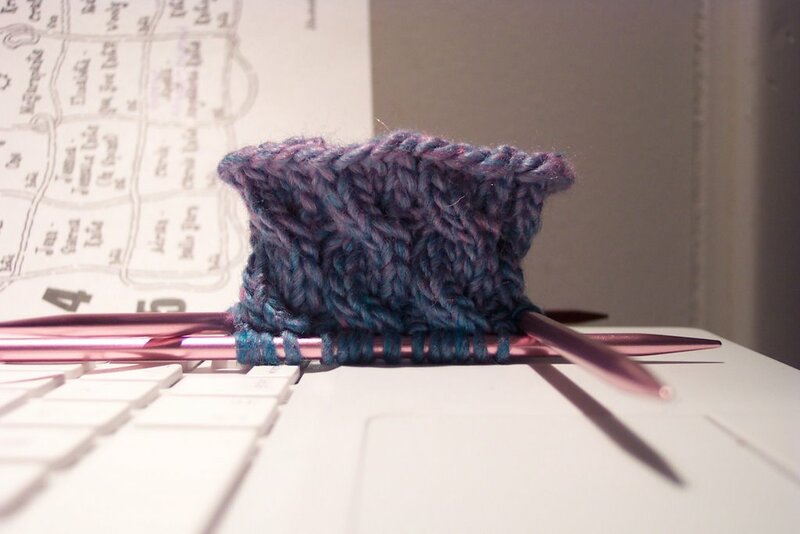 I will even pick knitting over reading a book (which is a change of pace for me). But knitting over sleep? Oh. No. That’s crazy talk. So, Fetching is kinda Bunny’s fault. Mr. Cygknit set up the bunny pen a little after 5pm to clean the main cage out, and asked if I’d like to sit with Bun. 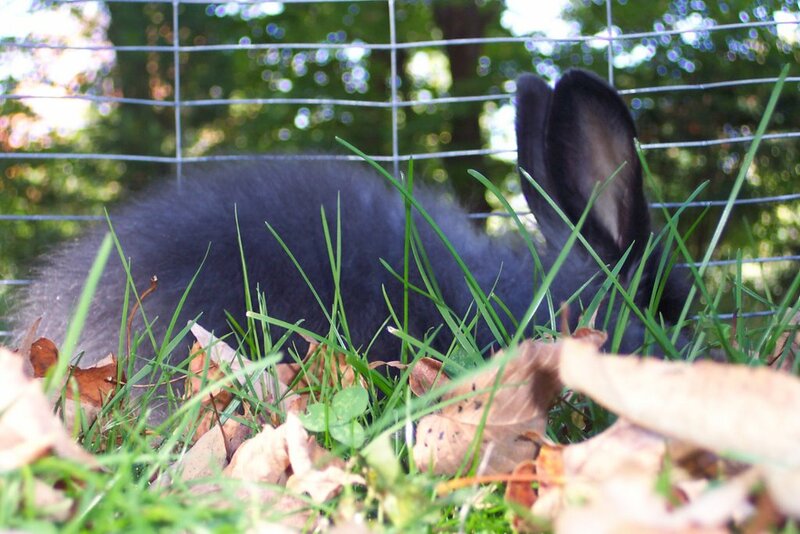 I grabbed a jacket and sat inside the enclosure, watching the considerable frolicking (and eating of greens. Bunny likes greens.) The landlords walked over to chat, and we all stood around for a good while just talking. 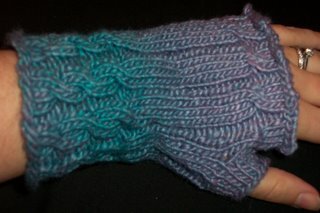 My hands got cold. Really cold. And I remembered: I wanted to make fingerless gloves back in April. 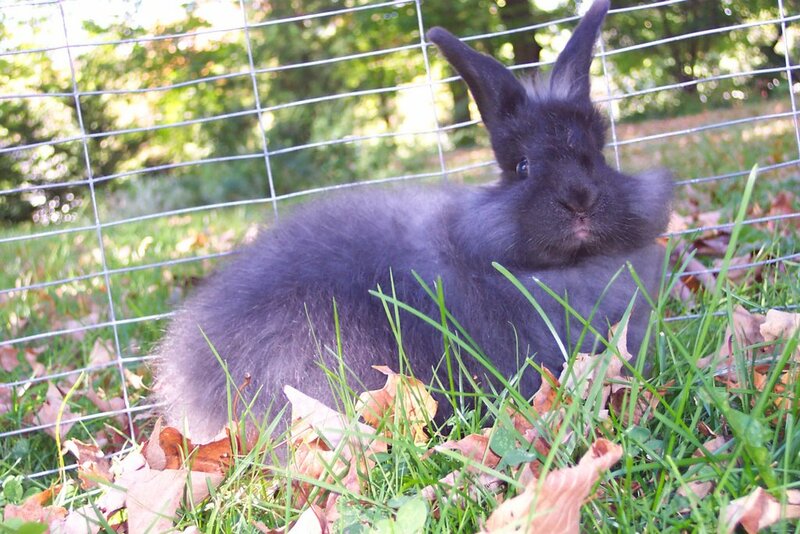 When talking and cage cleaning and gazing fondly at the bunny were done, I cast me on a project. Again with the behind on Socktoberfest posting. Here is my sock stash. Isn’t it pitifully small? Um, sometimes. The green Opal Gems in the top left is meant to be some leaf lace socks, and some Pinguin I forgot about until just now was meant for a lace pattern. Otherwise, no. When I comes to sock yarn, I go with what makes me happy. Gathering my wee sock stash together has given me a very important insight: I need more sock yarn. For a while now, I’ve thought I had a whole lot more than I apparently do. 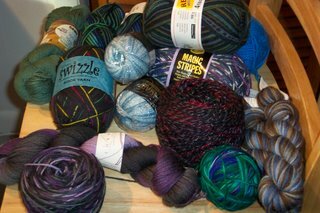 How sadly mistaken I’ve been, and how much more sock yarn I can buy (I’m holding back an evil laugh). This afternoon I plan to be at Sit N Knit in W. Hartford for Stitchy’s talk. Bwahaha! Forgive me. I really should be Socktoberfest posting. But, oh! I’m taken with the bunny. Apparently, Olive and Juniper are getting along: they played hide and seek last night. It terrified the heck out of *me*. PS Today, Dragon turns 30. If you can stand any more mushiness from me, go read how we met and why I like her.